Another fun week in books! I grabbed some freebies: Off Limits and The Way You Look Tonight. 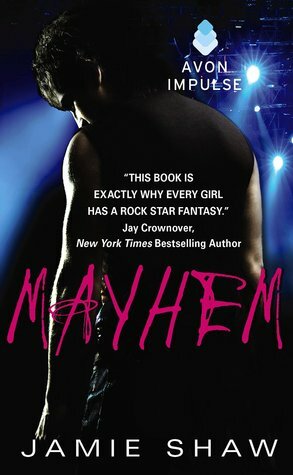 I also grabbed Mayhem while it was on sale since I have heard great things about this book. 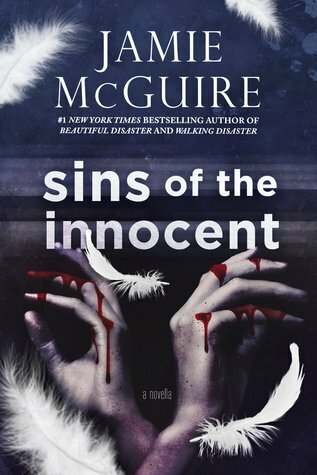 Then I got Sins Of The Innocent which is a novella in the Providence series. I'm really excited to go back to this world! I got a surprise in Weightless, thank you St Martins! I also got All We Have Is Now for review. This one sounds very interesting so big thanks to Scholastic! Next up I got Strong Enough from the lovely Michelle and she also sent along an awesome bracelet! I adore Michelle and cannot thank her enough! Next up I needed a paperback of Dream of You because it is JLA. 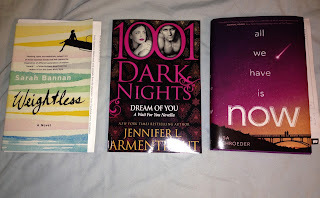 And last but not least I got some books from book outlet: Mortal Danger, True, Night of the Soul Stealer, and Attack of the Fiend. Nice! Lots of new to me reads here! 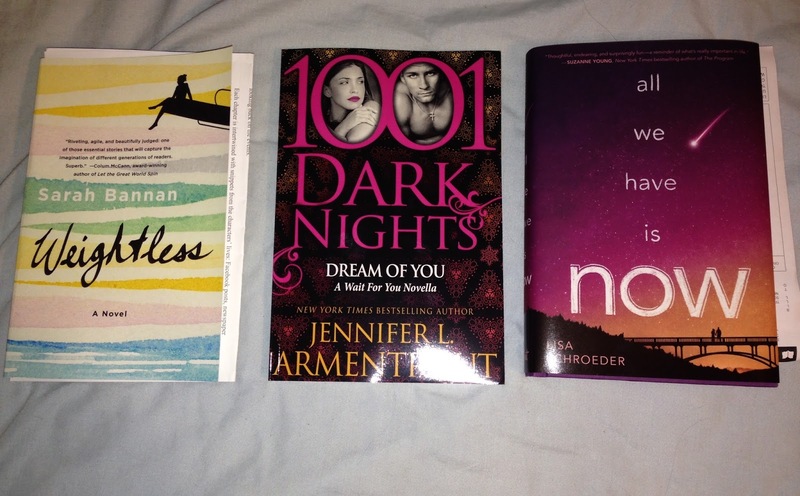 Seeing a LOT of Jennifer Armentrout's new book! Hope you enjoy all your new reads! Oh I really hope you love Mayhem! AND STRONG ENOUGH! Eeep can't wait to dig into that one! Enjoy. Off Limits sounds like a great pick. Hope you enjoy and have a great upcoming week and 4th of July! I love that bracelet Michelle sent you! SO cute! Oh I LOVE the cover to All We Have is Now! So pretty! I read and liked Off Sides so I imagine that Off Limits will be equally as good. True was also a great read. Hope you enjoy all your new books.